Area Note 1: The pre expansion area of city limits was 105.6 sq.km. The 2010 expansion order added 12 local bodies and increased the total area to 265.36 sq.km. However in 2011, three of the local bodies were dropped from the expansion and two more added instead. Those removed were - وللر (16.64 sq.km), Chinniampalayam (9.27 sq.km) and Perur (6.40sq.km). Those added were - ولکینر (9.20) and Chennavedampatti (4.5). So the actual area post expansion is 246.75 sq. km. Population Note 1: The census 2011 data is available only for pre expansion city limits. For the expanded city limits only 2001 census data is available. Pre expansion the population was 930882. After the 2010 expansion GO, the population became 1262122. But after the small changes mentioned in the previous note were made, the 2001 population figure was 1250446. However the 2011 census data for the urban agglomeration is available and has been provided. شهر کویمباتور (به انگلیسی: Coimbatore) با جمعیت ۱٫۰۰۸٫۲۷۴ نفر در ایالت تامیل نادو در کشور هند واقع شده‌است. ↑ ۱٫۰ ۱٫۱ ۱٫۲ Karthik Madhavan (2011-07-19). "Slim chances for 3 local bodies to be a part of Corporation". Thehindu.com. Retrieved 2013-01-31. ↑ ۲٫۰ ۲٫۱ "Primary Census Abstract – Census 2001". Directorate of Census Operations – Tamil Nadu. Government of Tamil Nadu. Retrieved 14 June 2010. ↑ ۳٫۰ ۳٫۱ ۳٫۲ ۳٫۳ "Tamil Nadu GO N0 219" (PDF). Retrieved 2013-01-31. 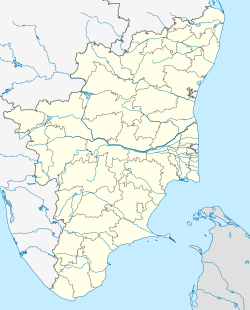 ↑ Besides the Coimbatore Municipal Corporation, the Coimbatore UA comprises the Town Panchayats: Irugur, Sulur, Pallapalayam, Kannampalayam, Veerapandi, Periyanaickenpalayam, Narasimhanaickenpalayam, Idikarai, Kalapatti, Saravanampatti, Chinnavedampatti, ولکینر, Thudiyalur, ویرکرلم, Vadavalli, ودپتی, Perur, Kuniyamuthur, Vellalur, Madukkarai, Ettimadai, Dhaliyur, Thondamuthur, Thirumalayampalayam, Othakalmandapam, Chettipalayam, الانتورای, Pooluvapatti, Thenkarai, Karumathampatti, Sarcarsamakulam, Mopperipalayam and Gudalur; Census Towns : Vilankurichi, Ashokapuram, Kurudampalayam, Malumichampatti, Perur Chettipalayam, Pattanam, Chinniampalayam, Somayampalayam, Muthugundun Pudur, Arasur, Kaniyur and Neelambur; Municipalities: Kuniyamuthur, Kurichi and Goundampalayam. "CONSTITUENTS OF URBAN AGGLOMERATIONS HAVING POPULATION 1 LAKH & ABOVE, CENSUS 2011" (PDF). Censusindia. The Registrar General & Census Commissioner, India. Retrieved 17 October 2011. ↑ ۸٫۰ ۸٫۱ This is the population of the city limits prior to 2011 expansion "Cities having population 1 lakh and above" (PDF). censusindia. The Registrar General & Census Commissioner, India. Retrieved 17 October 2011.